We are a reputed Semi Precious Necklaces Manufacturer, Supplier and Exporter from India. Our company brings forward an enticing range of Semi Precious Necklaces, which have been designed by a talented team of fashion experts and made by skilled artisans at our unit. 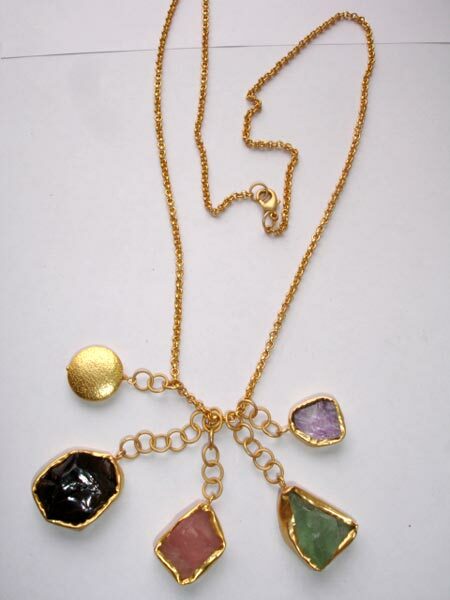 The Semi Precious Necklaces that we present are beaded with semi precious stones of different kinds. These colourful Semi Precious Necklaces are known for their unique patterns and durability of material. The necklaces are available in various sizes also. We serve a wider international market compared to any other Fashion Semi Precious Necklaces Exporter from India. Our Semi-Precious Necklaces have been priced reasonably.